North Shore Arts Association established in 1922, occupies one of the most unique and attractive settings in New England. 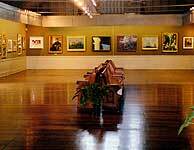 With its historic harborside galleries, visitors from all over the globe are provided the opportunity to view one of the largest and diverse collections of paintings, sculpture and graphics on Cape Ann..
NSAA has a thriving membership of over 600 Artists Members and Associate Members, working in a variety of media and styles. In the interest of community involvement, nationally recognized exhibitions, NSAA also offers demonstrations, workshops, lectures, critiques, film presentations, concerts, and our Annual Gala and Live Auction of Fine Art in August of each year. 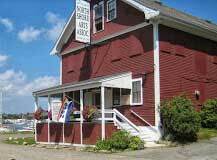 The new North Shore Arts Association held an open meeting on September 21st to consider a proposition made by Thomas E. Reed to sell his property and building off East Main Street to the Association, an offer that was so generous that the members unanimously voted to accept it at once. 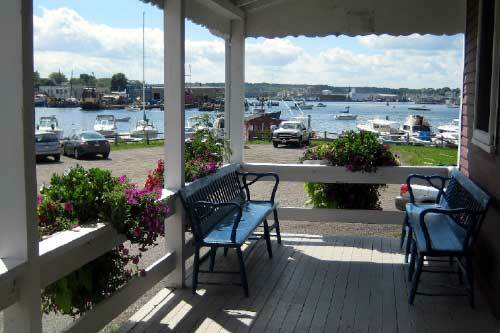 The property overlooked Gloucester’s inner harbor and the art colony of Rocky Neck. In addition to the exhibitions, each summer for the past 90 years, the galleries have been the center for a varied program of entertainment: lectures, cabarets, parties, memorials and concerts. Such talented musicians as the Boston Sinfonietta conducted by Arthur Fiedler, the famous pianist Jesus Sanroma, George Copeland, and the Gruppe trio from New York have been heard and enjoyed. Throughout the 94 years of the North Shore Arts Association’s existence, each summer has ushered in large annual exhibitions of paintings and sculpture. These exhibitions have attracted a great many visitors, have won the praise of critics and museum authorities, and by purchases from these visitors, have enriched many private collections.